March 26th, 2018 – Chicago. After five years of intensive development, the Green Infrastructure Foundation is proud to announce the release of the Living Architecture Performance Tool (LAPT) v.1. The LAPT is a rating system and best-practice guide with a goal of certifying that green roofs and walls are planned to achieve certain measurable and replicable performance benefits. Providing performance benchmarks will increase the efficacy of living infrastructure and bolster industry-wide credibility. 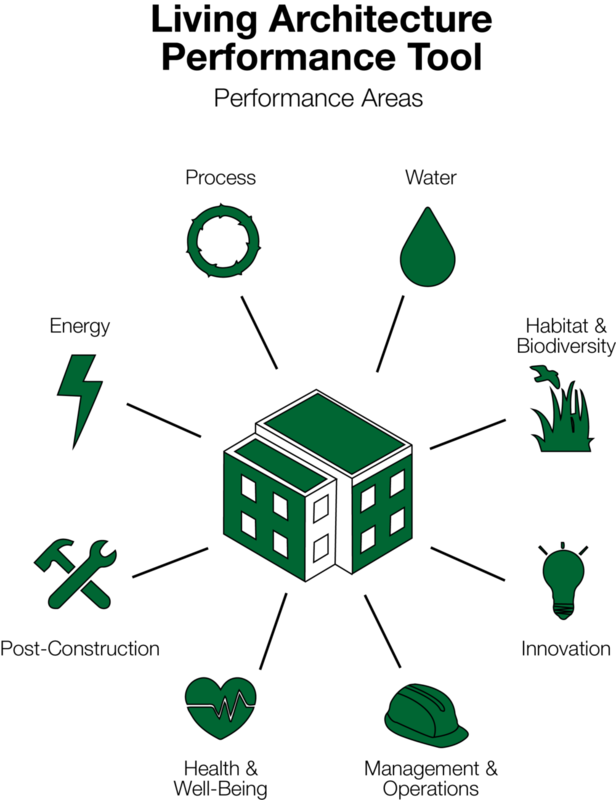 Designers, building owners, and maintenance professionals can use the LAPT to optimize the range of benefits possible from their projects, while policy makers can also use the tool to maximize public benefits and create effective policies for living architecture. “The LAPT has the potential to dramatically improve the performance of green roofs and green walls”, said Steven W. Peck, Founder and President of Green Roofs for Healthy Cities, who spearheaded the project. The pilot phase of this program, offers 25 innovative and forward thinking organizations the opportunity to participate. Getting involved in the pilot phase will help organizations optimize the range of benefits possible for their projects, demonstrate their leadership and innovation, set the stage for long-term performance of their projects, and receive recognition in the marketplace. Projects across North America that use any combination of green roofs and green walls are eligible to participate in the pilot phase. These can be new projects, projects in any phase of design or construction, and projects completed within the last 5 years. The development of the tool was led by Lois Vitt Sale, FAIA, LEED Fellow, and David Yocca, FASLA, AICP, LEED AP. The two co-chairs of the technical committee were deeply involved in the development of the LEED and SITES rating systems, respectively. “The LAPT offers us a chance to creatively integrate ecological, social, and environmental considerations into projects to maximize benefits for both the building owner and the community”, said David. “Green roofs and walls are the next frontier of green building and to maximize the environmental potential of projects, we need robust and measurable performance benchmarks”, said Lois.